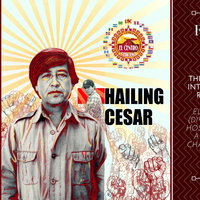 El Centro Chicano and the USC DEI (Diversity Equity & Inclusion Week) is hosting a screening of Hailing Cesar, a film about the journey of Cesar Chavez's grandson in understanding the legacy of Cesar Chavez, his grandfather. For more information about the film go here: https://www.hailingcesar.com/. The Interactive Media Building Screening Room, SCI 106 is located in the lobby of the Interactive Media & Game Design (IMGD) Building at the corner or McClintock and 34th Street (across from the Lyon Center).